This high quality snuggle blanket is a wonderful gift for a baby boy or girl! 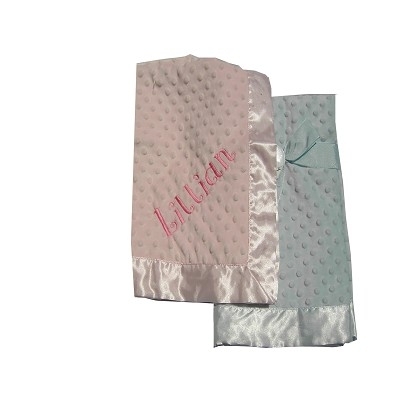 The front of the blanket features a minky dot chenille fabric with satin trim, the back is a solf satin that matches the trim. 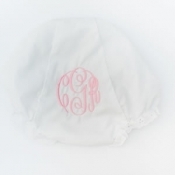 This blanket looks great with a baby's name or monogram! It is machine washable. Measures: 28.5" x 28.5"